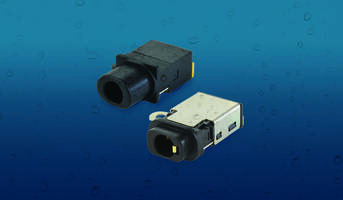 IP67 rated jack features right-angle orientations, 4 conductors and conformance to the 3.5 mm audio standard. 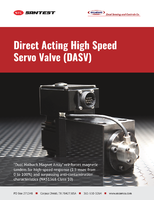 Rated up to 10,000 mating cycles and offer operating temperature ranges up to -30 to +85°C. Comply with the RoHS standards and carry a UL94V-0 flammability rating. Offered in shielded and non-shielded versions with factory pre-set contacts. 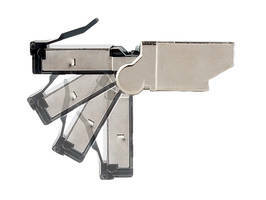 Accommodates multiple category sizes up to 9.0 mm with 24-22 AWG conductors. Certified for 10-Gigabit high data traffic, PoE+ rated and meets TIA1096-A, BICSI/ANSI D005 and ANSI/TIA-862-A standards. 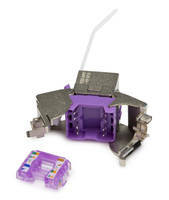 Features connector face that is complied with M12 X coding according to DIN EN 61076-2-109 standards. 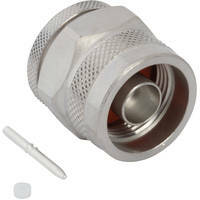 Offered in die-cast zing housing and meets protection class IP67 rating against adverse environmental influences. Designed for typical CAT.6A applications such as communication cabling of automation control systems. 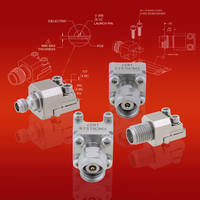 50 ohm straight jacks feature a thread-in bulkhead design with post contacts and a push-on coupling mechanism. 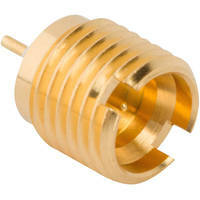 Solder plug is optimized for 0.047” semi-rigid cable and is designed with an anti-rock ring for vibration resistance. 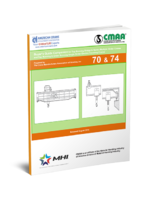 Bullet adapter is designed to compensate of both radial and axial misalignment and available in 17.16 mm length. 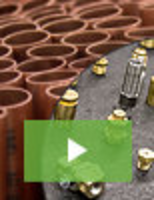 Feature 50μ gold contacts and up to 750 mating cycles. 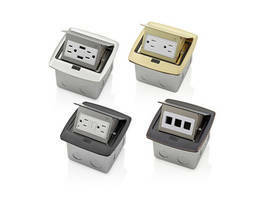 Offered in multiple colors and can be used to replace worn out jacks or integrated into newer projects. 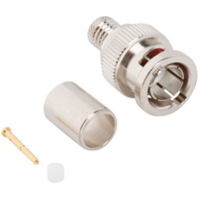 Operated in -10°C ~ +60°C temperature range and meet Cat6A channel shielded and non-shielded performance up to 100 m.
Designed for systems such as wireless infrastructure, military and industrial applications. 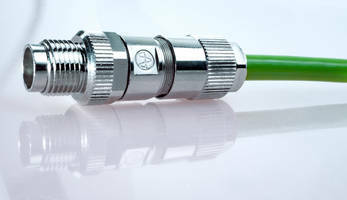 The fully interchangeable interconnects make N-Type connectors to meet MIL-C-39012 standards. Offered with weatherproof interconnect, low VSWR and insertion loss ruggedized construction. 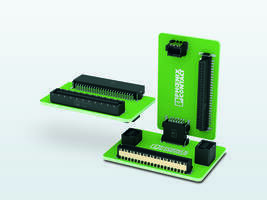 Available in FP 0.8 and FP 1.27 series in 12 to 80 positions and are packaged on tape and reel. Compliant with RoHS and RoHS II standards and can handle currents and voltages up to 1.4 A and 500 V AC respectively. The 0.8-mm version supports high-speed data transmission up to 16 Gbps.